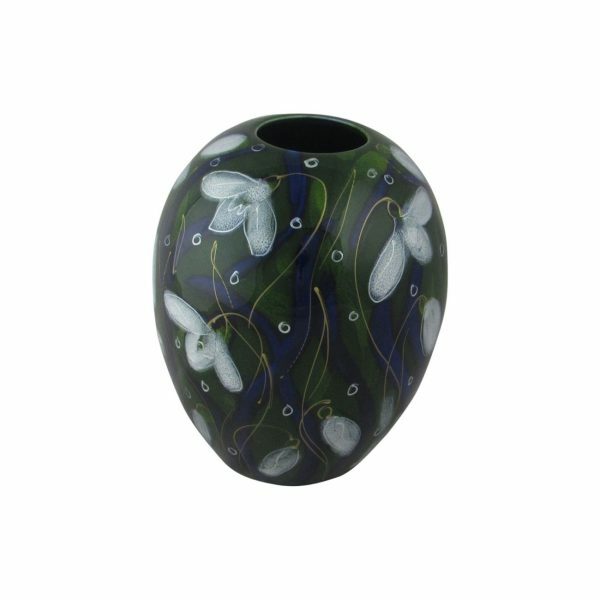 Snowdrop Design Delta Shaped Vase. Which is produced by Anita Harris Art Pottery. In their studio based in Stoke on Trent, Staffordshire. Where is has been hand decorated. A popular design from Anita Harris Art Pottery. Rich green and blue reactive glazes provide the background. Which then feature the delicate snowdrop flower. The height of the vase is 15cm. 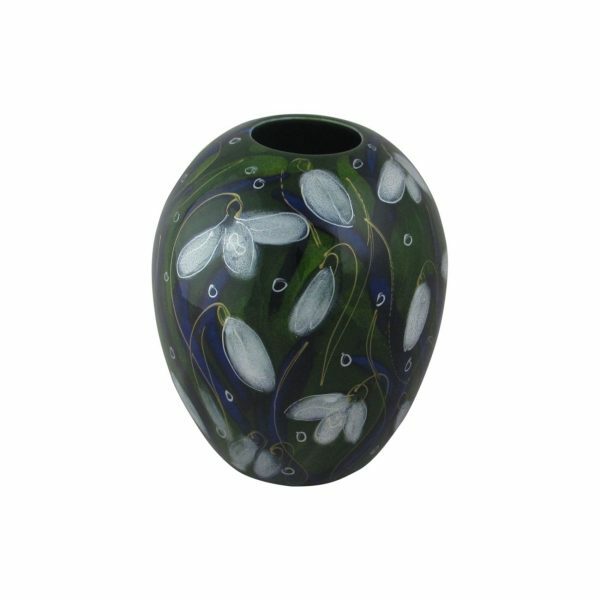 Our on-line price for this vase is £49.95.